We are an ISO9001 & IATF 16949 quality approved supplier. 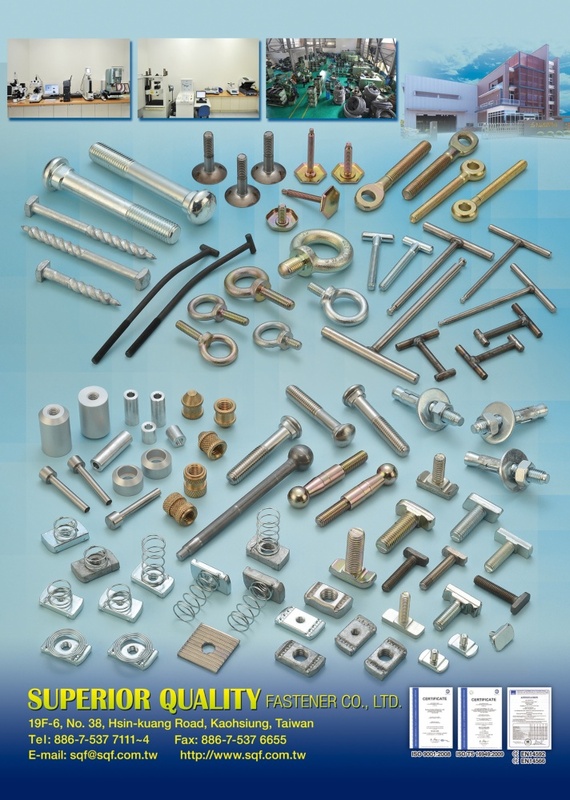 We specialize in providing high quality fastener and hardware products. Our extensive products range from regular standard items to special parts. We also cater to customers’ orders upon request, to accommodate every customer's unique requirement. We have several kinds of advanced inspection equipment to carry out quality checks in-house. For example, Shimadzu Tensile Strength Machine, 2.5D Measuring Machine, Hardness Testing Machine and Salt Spray Test Machine and so on. Should you require any information or assistance at any time, please contact us by email, fax or telephone. Or please visit our website for our latest company and product news, we certainly offer our best service.